Staff at Tamworth’s Gomeroi Gaaynggal Centre breathed a deep sigh of relief today after unveiling new ultrasound equipment that allows the continuation of its vital health and research support for expectant Indigenous mothers. Following multiple repairs, the centre’s previous scanning unit had reached the end of its service life and been declared unfit for use. It threatened to leave a major gap in the antenatal services offered by the Indigenous pregnancy program, with no funding or loan options readily available. 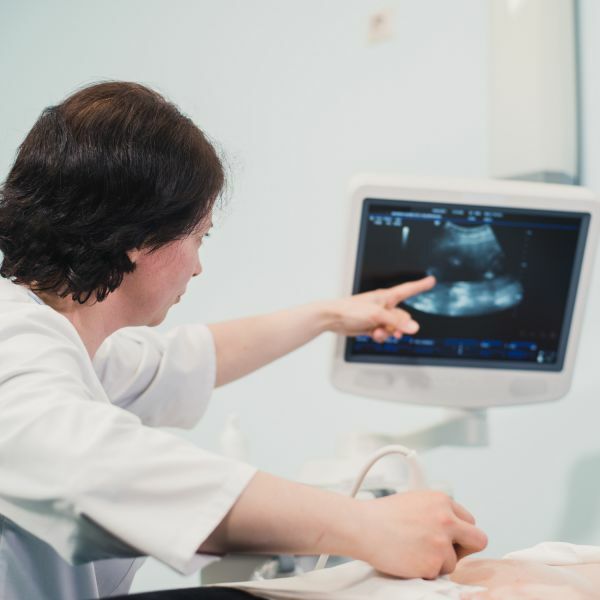 The University of Newcastle (UON) and Hunter Medical Research Institute (HMRI) then stepped in, along with community members, to secure the $84,000 needed to buy a new, high-resolution Philips ultrasound machine. The UON provided $50,000 via its Faculty of Health and Medicine, and Research and Innovation division, Tamworth residents Tony and Karen Haggarty gave almost $16,000, the Bloomfield Group a further $10,000 and Tamworth Rugby Union Club donated the final $8,200. “I’d been incredibly worried about it because our research was in absolute jeopardy,” Program Director Associate Professor Kym Rae says. “We’d done so much work to build up the study and, without the ultrasound, we risked losing the buy-in of our pregnant mums and the community. Mothers engaged in the Gomeroi gaaynggal project undergo three scans – the first to determine pregnancy timing, the second ensure the baby is developing as they should, and the final to look at growth and wellbeing. Having nurtured a relationship with mothers during their pregnancy, researchers then aim to continue it for 10 years post-birth. A solid foundation of trust and care is required to retain them. The Tamworth Magpies rugby club threw its weight behind the cause, conducting a fundraiser as part of the club’s Ladies’ Day activities in July. Players wore a special pink jersey adorned with flowers and the HMRI logo, which were auctioned after the game.